Recognized every year on March 8, International Women’s Day honors the contributions and achievements of women in our world. It also promotes women’s equality and solutions for more gender balance in all aspects of society. In some of the world’s most violent- and poverty-stricken places, Catholic Relief Services upholds human dignity by empowering women to improve their lives, improve their families’ lives, and to heal their communities. CRS programs promote social equity and inclusion for women in West Africa and Latin America by helping them transform their roles in society—from second-class citizens to peacemakers, business owners and opportunity creators. Even in the poorest and most violent places in the world, CRS believes that women have the power to change their lives and their communities for the better. We witness it every day in the faith and resilience of the women we work with. Paramount to transforming their hope into reality is their empowerment as nurturers, earners and builders. Transcending gender stereotypes is tough for women in some cultures. 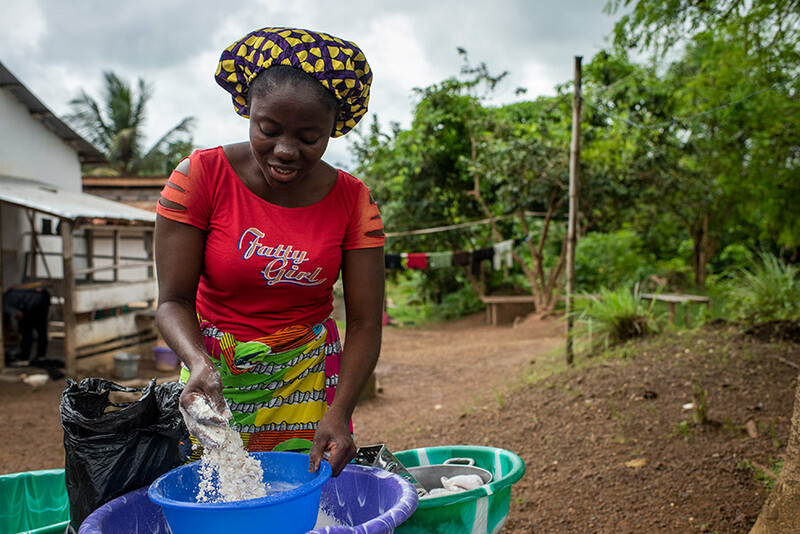 In Liberia, women’s status has traditionally been second to men’s. It is a fragile country, one of the world’s poorest, still recovering from a 14-year civil war that ended in 2003. Despite being the first country in Africa to elect a woman as president in 2011, women in Liberia have been afforded few rights and little economic autonomy. However, efforts like the CRS ASPYRE program, or Activating a Supportive Platform for Young Rural Entrepreneurs, are helping young women in rural communities achieve economic independence through entrepreneurship. 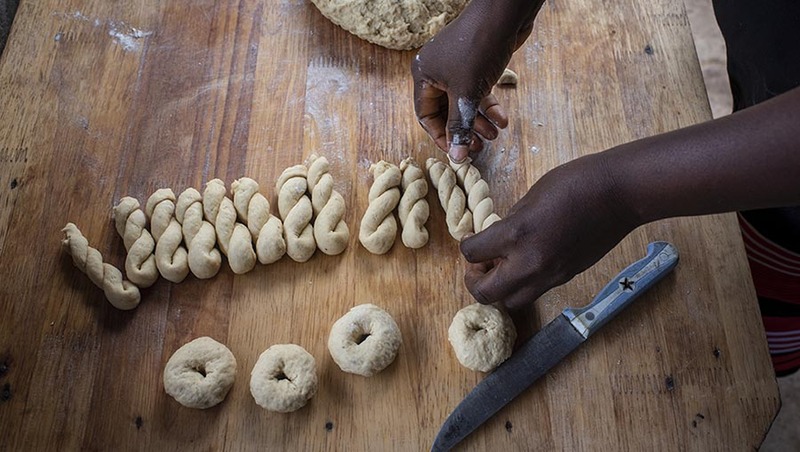 The year-long program provides business training and micro-loans to kickstart small enterprises, from selling food to farming. Participants in the program learn basic bookkeeping, and how to create a business plans and establish savings accounts—and even how to pitch to local experts in a Shark Tank-style competition for a micro-loan investment in their start-up. In El Salvador and Nicaragua, the CRS YouthBuild program provides teens and young adults with business and life skills training so they can better support themselves and their families, and make a positive impact in their communities where violence, fractured families and poverty are a way of life. After suffering civil wars in the 1980s, these countries are ravaged by drug trafficking and gang warfare, some of the push factors driving thousands of young people, many of them unaccompanied minors, to make the dangerous trip to Mexico and the U.S. border in search of asylum. By providing opportunity for youth to build productive lives—whether it’s finishing school, starting a business or learning a vocation—YouthBuild aims to furnish opportunities for young people to thrive in the places they live. Since CRS launched its YouthBuild program, more than 10,000 young people have participated. About 70% of graduates have either found work, gone back to school or both. A large portion of YouthBuild graduates are young women. “What you realize through this program is there are so many problems, but there are so many young people who want to improve their lives and help their communities,” says Crisia Chavez, an outreach coordinator for YouthBuild El Salvador, and herself a graduate of the program. Crisia lives in a rural town in the northwest part of the country surrounded by volcanic hills and coffee farms overlooking Coatepeque Lake, considered one of the most beautiful lakes in the world. To an outsider, it might seem idyllic. 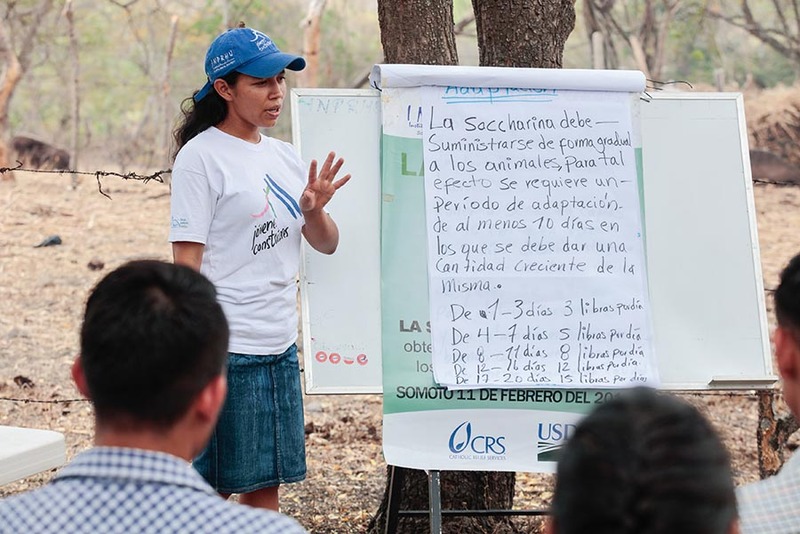 But when Crisia attended school, violent gangs controlled her community and her school. When members of a rival gang began to menace her, she feared for her life and dropped out. Then, she heard about the YouthBuild program and enrolled. It changed her life forever. “When I started the project, I was extremely shy and reserved,” she recalls. Her parents didn’t have the money to send her to another school. So she pursued an idea she had for a business—selling natural medicines that she and her mother, who had a nursing background, would make themselves. YouthBuild trainers helped her create a business plan and provided her with $200 in seed money to get her enterprise off the ground. Crisia’s business soon flourished and she earned enough income to go back to school and graduate. It wasn’t an easy road for Crisia and her family. Her mother had a stroke and was in a coma for a year, forcing her family to sell everything, even their modest home, to pay for her mother’s medications and recovery. But after earning her high school diploma, Crisia was hired by YouthBuild as a community service coordinator. 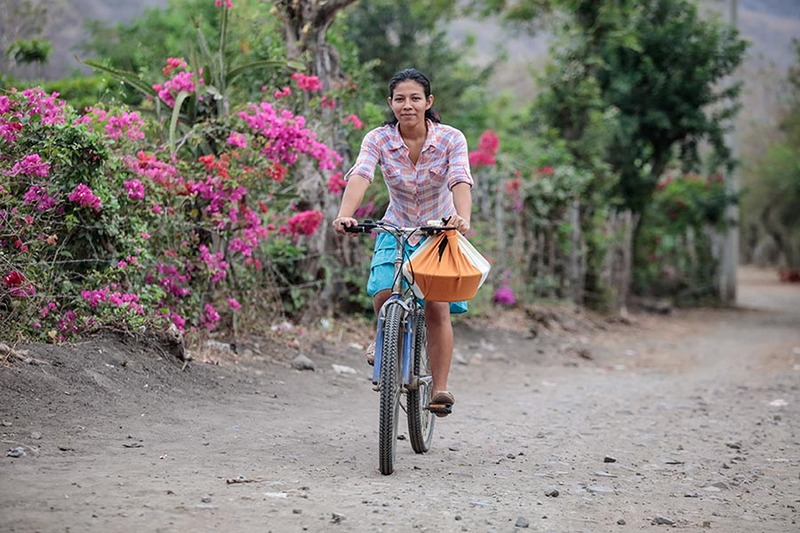 Now gainfully employed, Crisia was able to contribute toward the family’s financial stability, even paying for her sister to complete high school and helping her family purchase a small parcel of land for a new home. They are now putting the finishing touches on cinder block walls, a stronger aluminum roof and electricity—something that seemed impossible before Crisia joined the YouthBuild program. Today, Crisia, now 24, is leading 18 community projects with young people in her town. Children can play in a football field again after a Crisia brought together a group of students to rehab the old field, overgrown from years of neglect. Crisia directed another group to renovate a school building with a crumbling facade covered with gang graffiti. Crisia proudly notes that even some gang members joined their efforts in repairing and painting the walls. 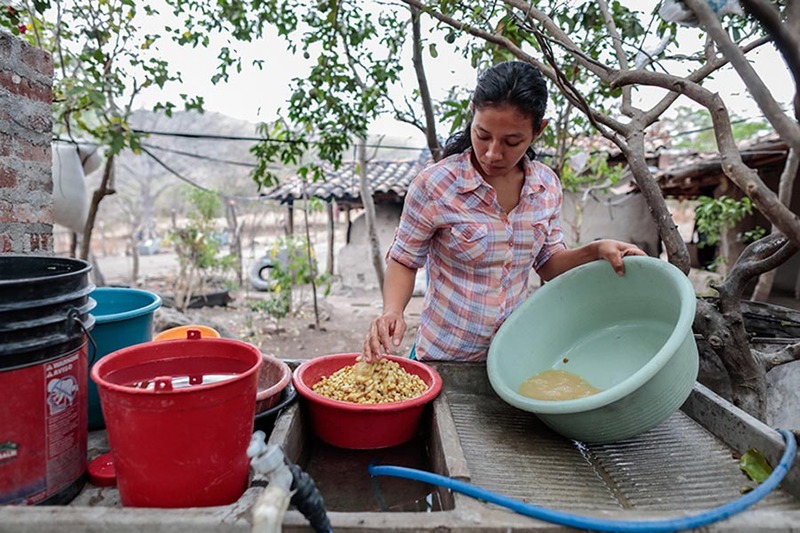 “I have learned to love things, and to find value in my work,” says Cesia Hernandez, who lives in neighboring Nicaragua and is graduate of the local YouthBuild program there. Cesia, who runs her own livestock feed business, is helping change perceptions about the roles of women in her community. She started her business two years ago after finishing YouthBuild’s entrepreneurship training. Her thinking changed when she entered the YouthBuild program. In rural communities, the program encourages participants to start a businesses like raising livestock, beekeeping or local tourism. Today, neighbors often see her pedaling her bicycle through town delivering heavy loads of feed to her customers. “It’s not common for women to do this kind of work,” she says. “But now they are seeing that women can do other things, and that we can do what men do. And other women, when they see my progress, they start to believe they can do it too.” Recently, Cesia mentored another young woman in town who wanted to open a small convenience store. Cesia instructed her on business basics and helped her get a loan to rent a space and purchase inventory. The store is now doing brisk business with the local townspeople, who before had to travel to the city to purchase their essentials. Cesia understands how small business ownership can transform not only one person, but an entire community. She says she now thinks a lot about the future. Take action in support of women on International Women’s Day. Call on Congress to support funding for international programs that empower women around the world.